The Pirastro 441020 Obligato Double Bass String Set produces a quick response for the intermediate player. The multifilament fibre core offers a bright, focused sound. The chrome steel winding adds extra clarity to the overall tone, as well as providing a comfortable feel. This set has a medium tension gauge for optimum balance between versatility and playability. These strings are ideal for arco and pizzicato players. This string model has a 3/4 size and all feature a ball tailpiece end. 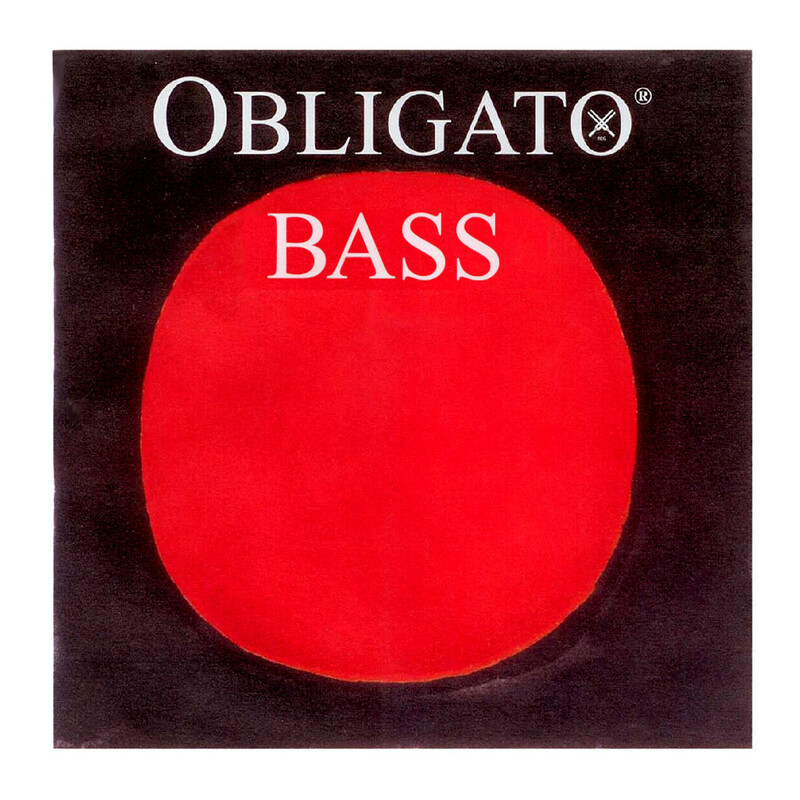 The Obligato series of strings are ideal for players who want a gut sound without the drawbacks. The high quality synthetic gut is a multistrand core that has a bright response and soft feel. The synthetic material is completely resilient to temperature and humidity changes, making it ideal for players who frequently gig. This also means the strings have more stable tuning and are quicker to achieve optimum playability. Despite not being made from gut, the strings have an excellent response and the playability is consistently even through the range of the instrument. The Obligato strings have been designed to support each other’s frequencies for a sound full of complexity and balance. All Obligato strings have a ball tailpiece end.